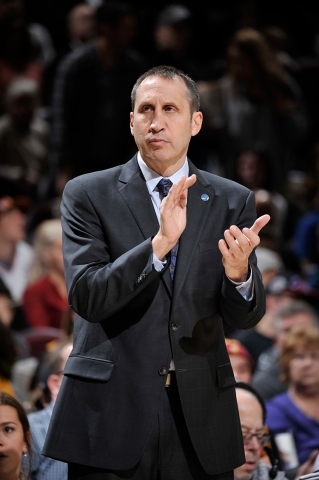 According to Ian Begley of ESPN, the New York Knicks are considering former-Cavaliers Head Coach David Blatt to take over the reins at Madison Square Garden in the 2016-2017 season. Blatt, who was fired in January, while the Cavs were in first place in the Eastern Conference, has received support from fellow coaches following his departure from Cleveland. Begley’s report cites that “sources” say Knicks Team President Phil Jackson views Blatt favorably. The Knicks are in dire straits and star player Carmelo Anthony was quoted as saying “there is a lot of uncertainty” surrounding the team. One of the few bright spots for New York is rookie Power Forward Kristaps Porzingis. Aside from him, the Knicks do not have many pieces to build around. Perhaps a team in rebuild mode would be a better fit for Blatt, who was hired by the Cavaliers to coach young team before they knew LeBron James was returning to Cleveland.